The term cosplay comes from a fusion of the English words costume and play. This term refers to a very widespread custom internationally, and especially in Japan, of dressing up as characters from manga or anime (which are special styles of Japanese animation) as well as other characters from comics, cinema, and fantasy literature. The term was coined by Nobuyuki Takahashi in an article that he wrote in 1983 which talked about the Comic Market (Aka Comiket) event of 1975 during which many university students dressed up as manga characters from famous Japanese comics. Takahashi had initially thought of calling the phenomenon simply “kasou,” which means “costume” in Japanese, but the word would not have done justice to the peculiarities of the phenomenon. The English word masquerade, on the other hand, sounded quite old-fashioned. 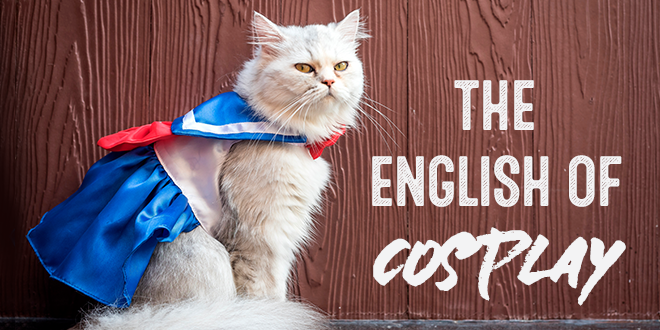 @abaenglish presents the words of the cosplay world in English. Currently, in addition to the Comic Market, there are several events held in Japan such as the “Cosplay Expo” in Tokyo, the “Tokyo Character Show,” the “Tokyo Game Show,” and the “Chara Fes.” But, cosplay is now a worldwide phenomenon to which belong the characters from video games, comics, cartoons, movies, or fantasy literature of any kind. But, why do cosplay? This practice was born from the wish to portray your favourite character and to give free rein to the desire to have fun, to creativity, and even to a certain dose of exhibitionism. The costumes can be very striking and some can even be considered authentic masterpieces of the genre. If you are a fan of cosplay or if you simply feel intrigued and would like to know more, then it might be useful to know some terms in English that are part of the specialized lexicon of this phenomenon. Even though the phenomenon is of a Japanese origin, the words and expressions for cosplay, in fact, are mostly in English. 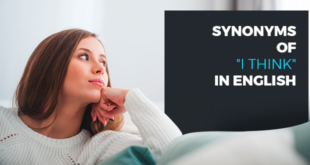 In addition, given that this is a phenomenon of international scope, knowing its terminology will allow you to keep up to date on the current phenomenon and the latest news. Following, we will present the lexicon that you should definitely know if you want to be a true cosplayer. Cosplay has created a true jargon for the sector with neologisms created to name attitudes, aspects, and customs of the cosplayer. Below, we present some terms in English that you should definitely know. This term is used for the animated form of manga which first appeared in 1985, probably as an adaptation of French animation. It is the term that corresponds to the Japanese “manga eiga” (television manga). This is actually a Japanese term which means cosplayer. In fact, it is an abbreviation. This word, which in English means “hairy,” refers to the passion of the anime characters or the people who dress up as one. The phenomenon of dressing up as anime characters probably began in the early ‘80s. This is used for the feeling of emptiness and loneliness that cosplayers experience when they return to daily life after an event or convention has ended. This term is used for the very strong physical contact that some cosplayers perform during the events that would seem to run contrary to the label. This habit of strong and aggressive embrace was born out of an imitation of the gestures of some characters in Japanese cartoons. This is used for the act of taking the first piece of clothing you find in your wardrobe to later rework and adapt it to make a costume. This is a cosplay costume that is purchased and does not require any modifications or adaptations. This is acting, the capacity to put yourself in the shoes of your character to make it real. It consists of reciting the dialogues of the character you are dressed up as. At a cosplay meeting, you will literally be surrounded by bright colours, smiles, and, sometimes, bulky costumes. The first impulse you may feel will be to take some photos and perhaps to make friends with that young woman who is dressed up as Monika from the Doki Doki Literature Club. Before you do anything, do not forget to ask the person in question if they mind you taking their picture. Taking a picture can be an excellent opportunity to make new friends. Here are some useful phrases you can use at your next convention! Can I post your picture on my Facebook page? I love your character. It is my favourite! Now you know the key terms used in the cosplay world and are ready for your trip through the world of Japanese manga. 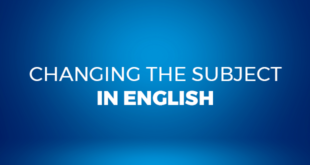 If, in the meantime, you want to improve your English, why not try an online course? 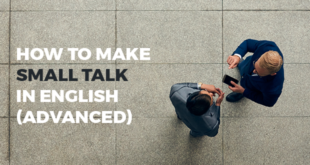 ABA English offers you 144 video classes, short films, and native teachers that will help you learn English in a simple and natural way!